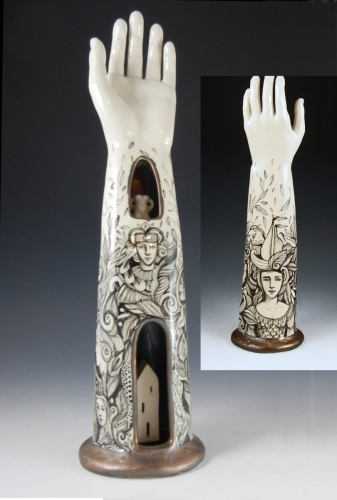 Porcelain hand reliquary painted in underglaze with house and tiny vase. 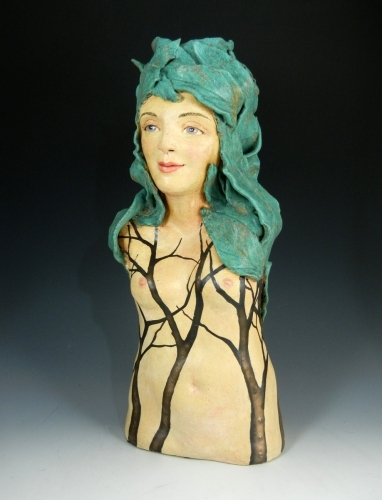 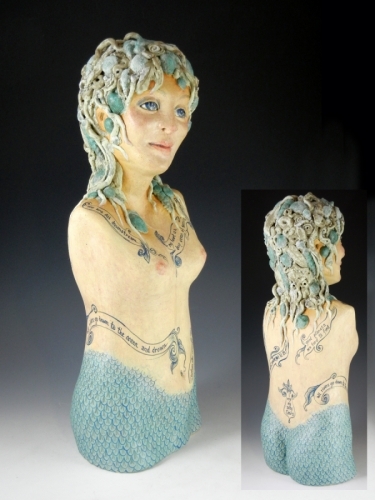 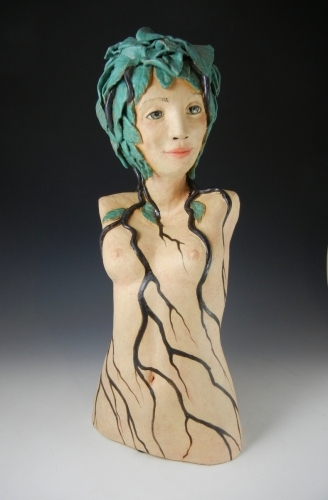 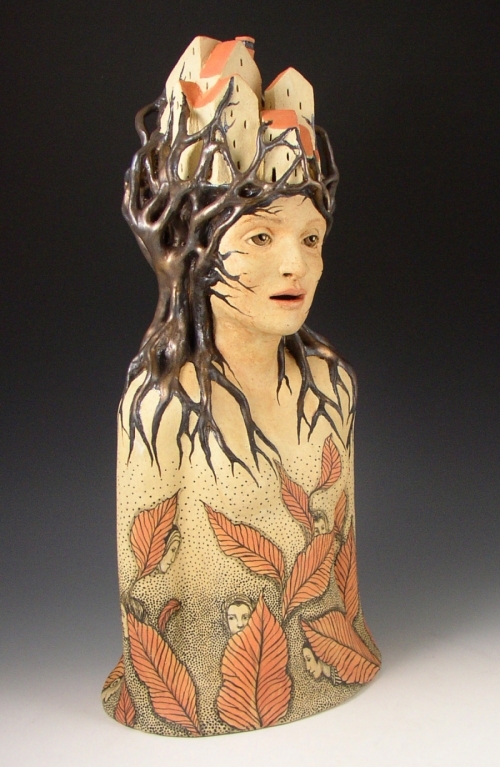 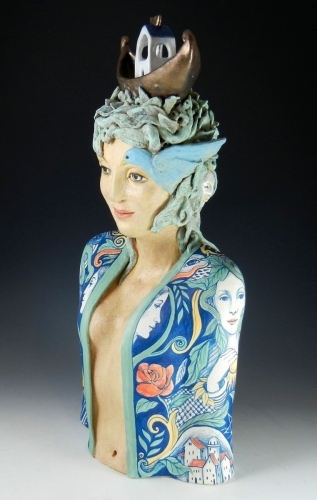 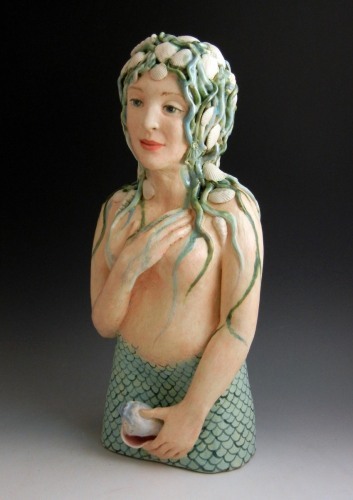 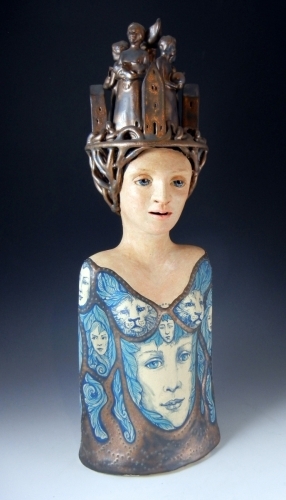 Stoneware mermaid with encaustic finish and tattoos. 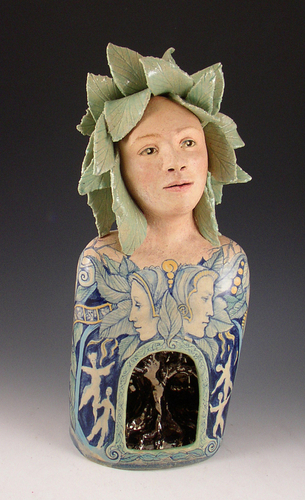 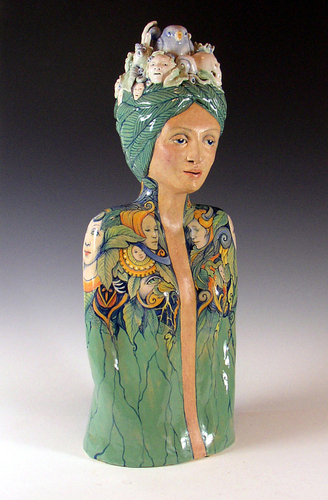 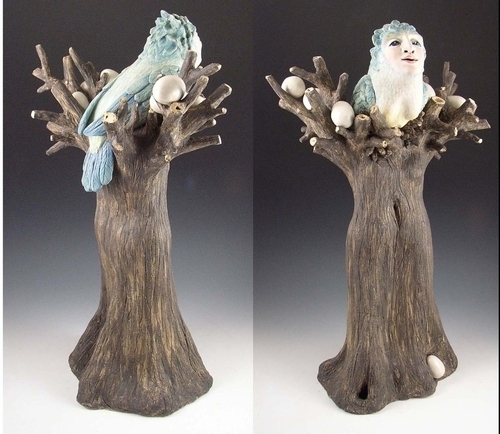 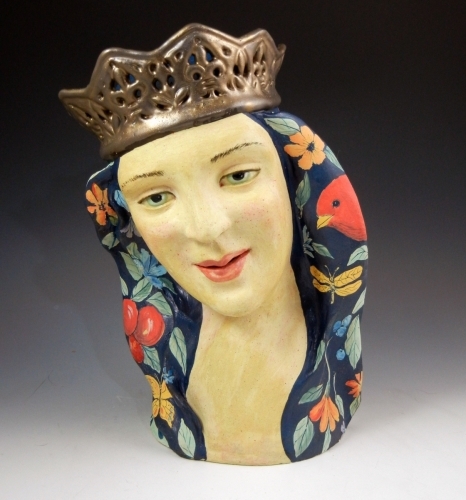 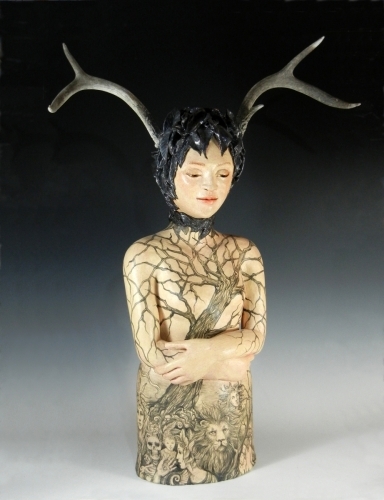 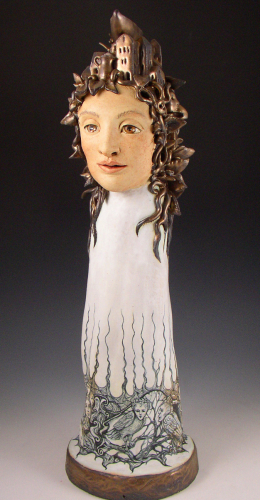 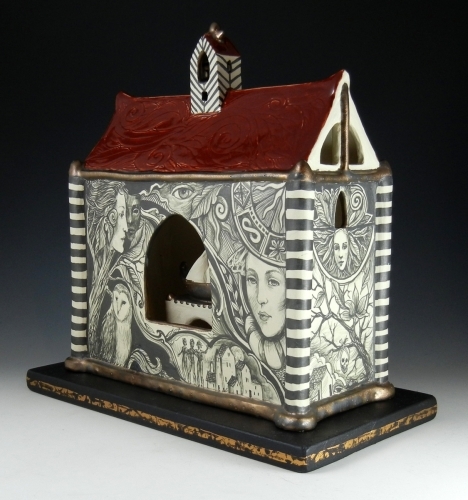 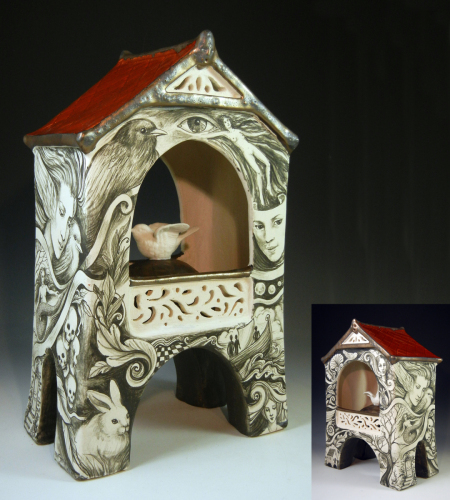 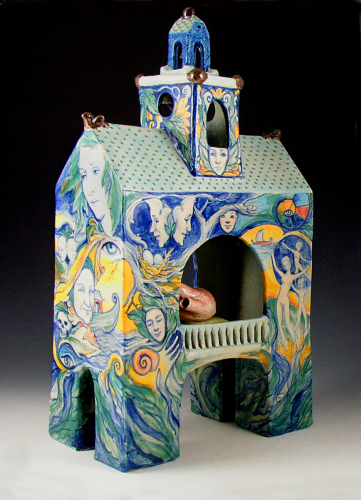 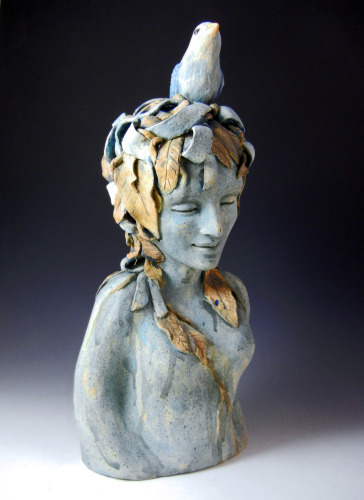 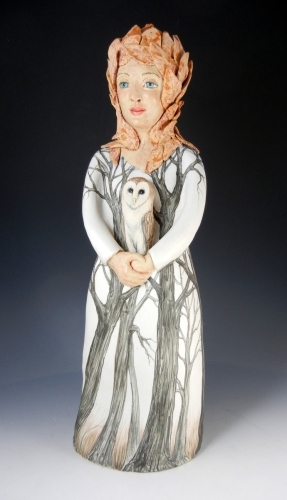 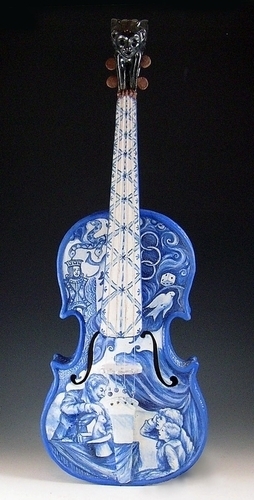 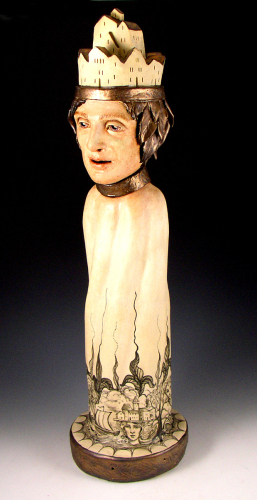 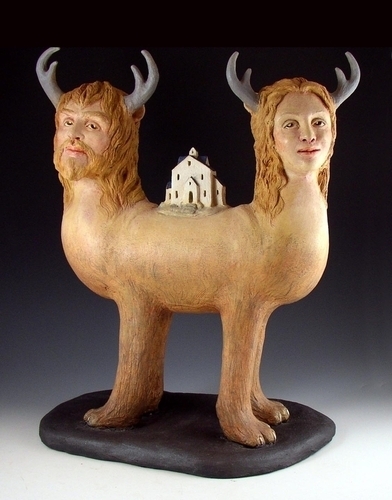 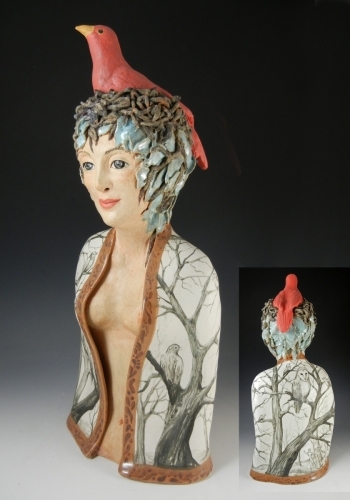 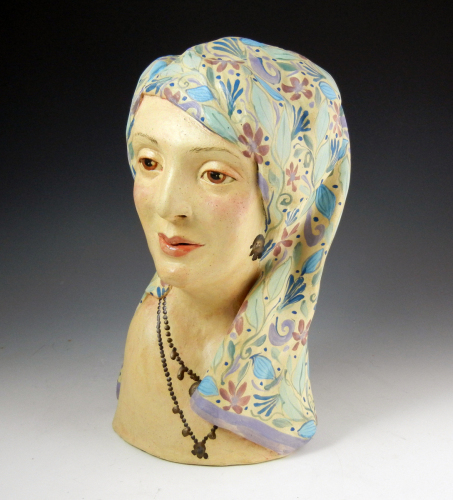 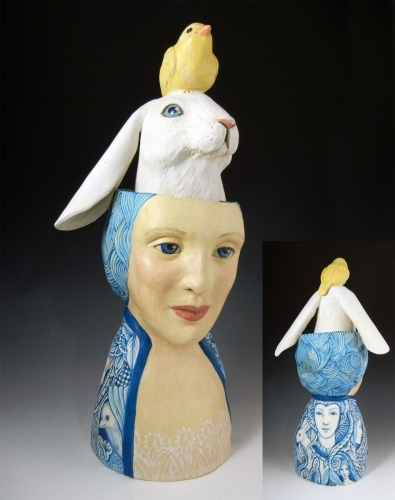 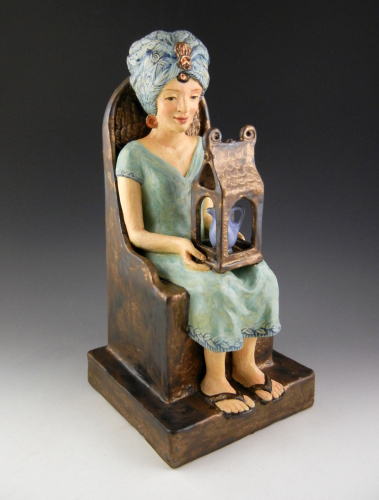 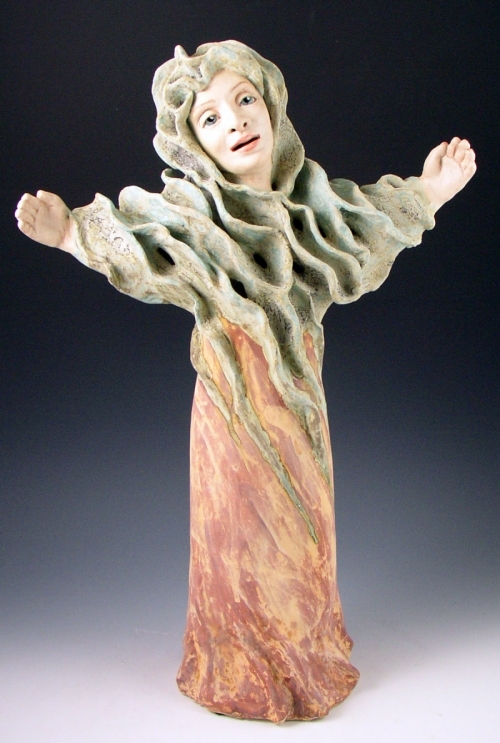 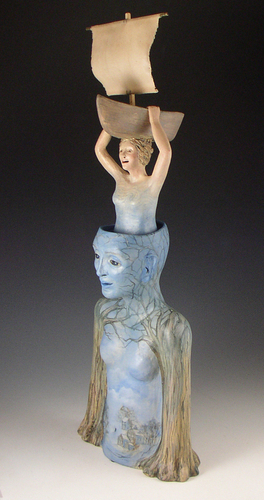 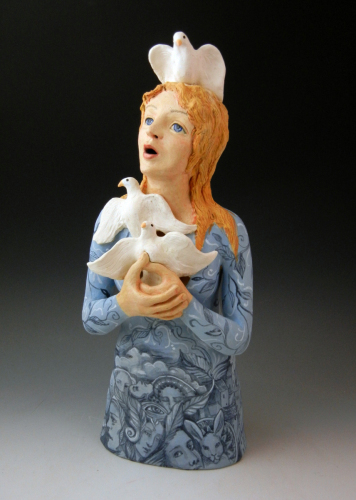 Stoneware sculpture with underglaze painting, metallic glazes and encaustic. 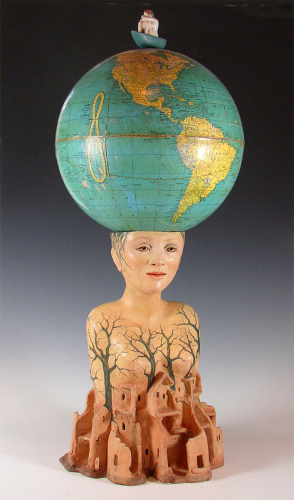 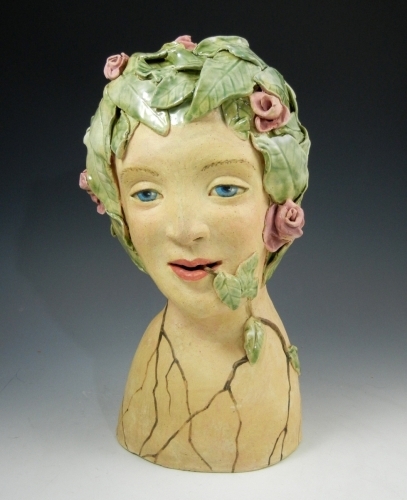 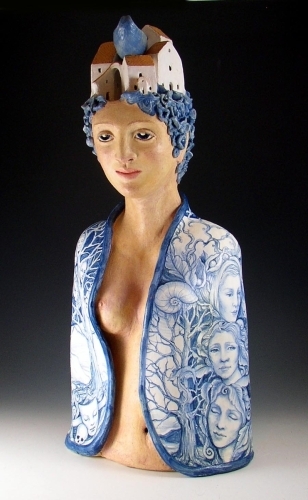 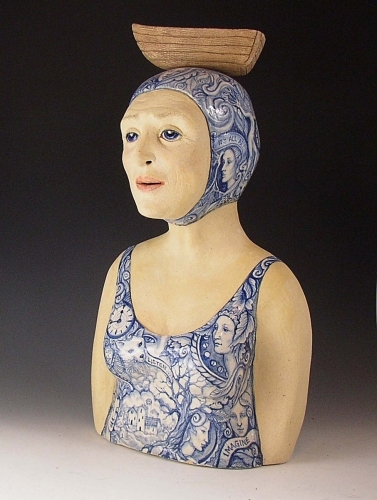 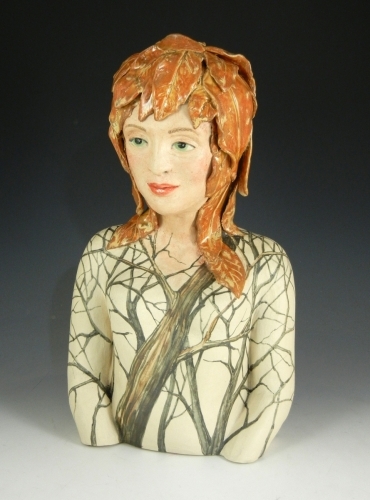 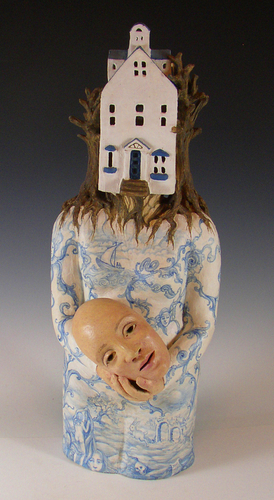 Porcelain on Stoneware figure with encaustic.